I made up this recipe when I had no idea what to make for dinner, I had a lot of canned foods so I decided to use them. I hope this works for you as good as it works for me. Serve hot with homemade cornbread and green salad. Puree stewed tomatoes in an electric blender or mixer. 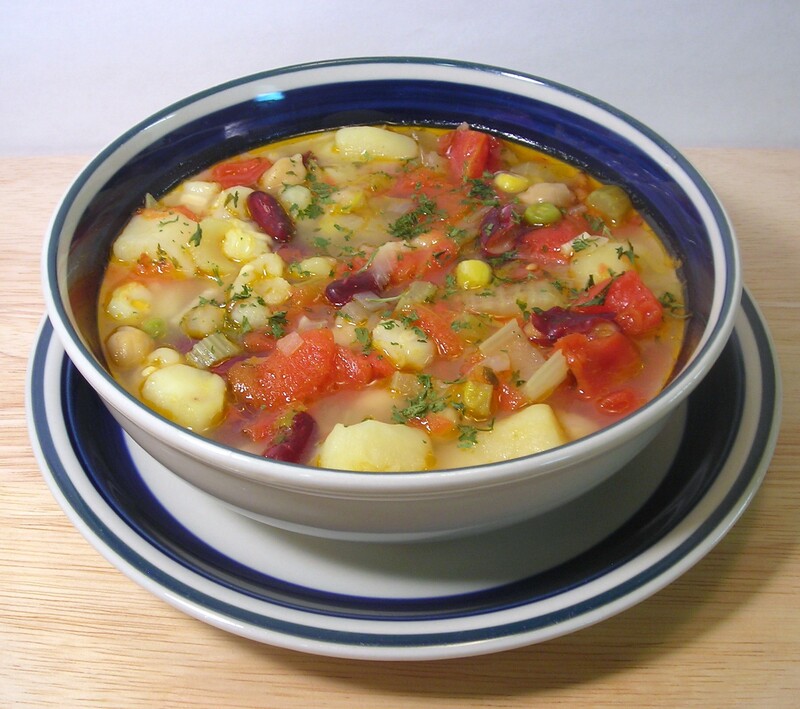 Place tomatoes, refried beans, corn, green beans, and vegetable broth in a large pot. Cook over a medium heat. Refried beans and tomatoes will cook down to create a base for the soup. Stir occasionally to prevent stickiness. Add water as needed to prevent over-thickening. Add oregano, garlic powder, salt and pepper, basil, parsley, and minced onion. Cover and cook until mixture is heated through. Add the onions, and continue cooking until the soup is just boiling.